The Blue Lake, South Island, New Zealand. 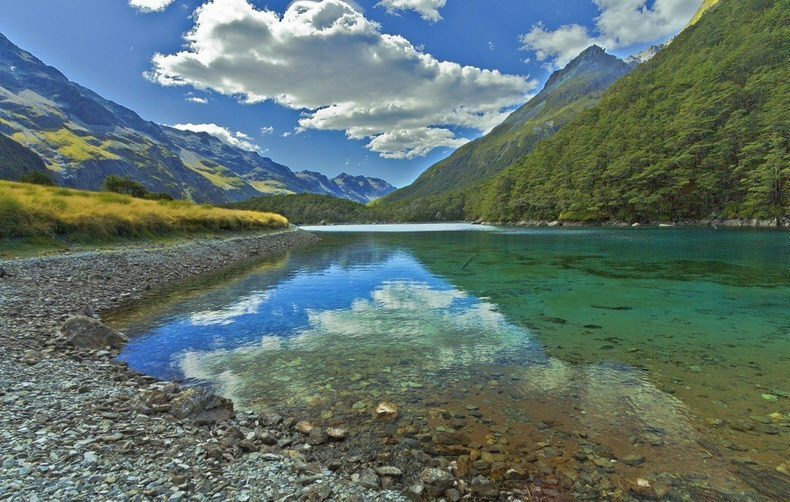 Found in Nelson Lakes National Park, a relatively small lake is said to have the clearest water in the world! It is almost as clear as distilled water, meaning that its visibility is up to 80 meters. The lake is considered sacred to Māori, who call it Rotomairewhenua, therefore swimming or entering the lake is not allowed. Photographer Klaus Thymann however was granted a special permission to depict the clarity and beauty of the lake for scientific purposes. The lake is found in the beautiful park, which provides a great retreat, hiking, fishing and camping opportunities. The lake is a two-day hike from the park’s entrance or it can be observed from above by a helicopter. Reid Helicopters Nelson provides private tours around the region. It is a short drive from Nelson.